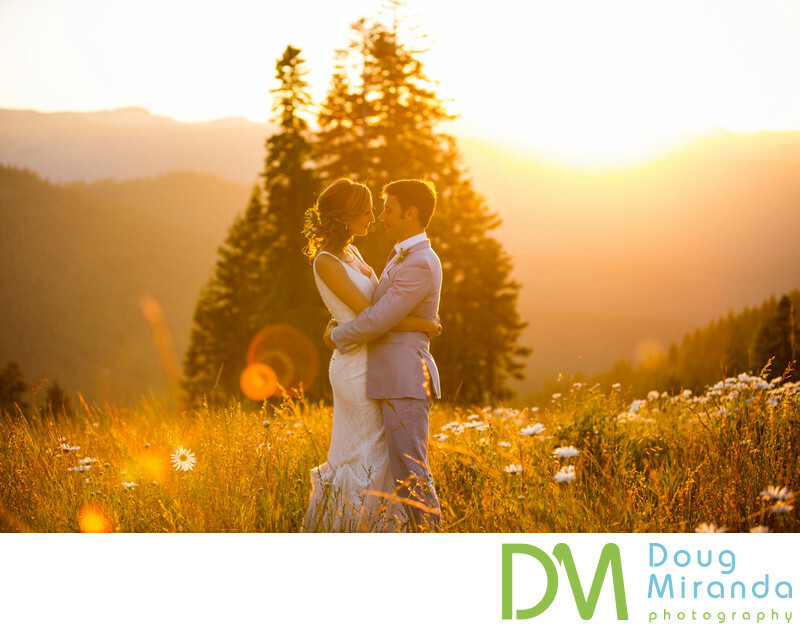 In this wedding photo the couple is cuddling up tother during their sunset portrait session on the side of the mountain. They were lucky and had some of the wild flowers in bloom around them. 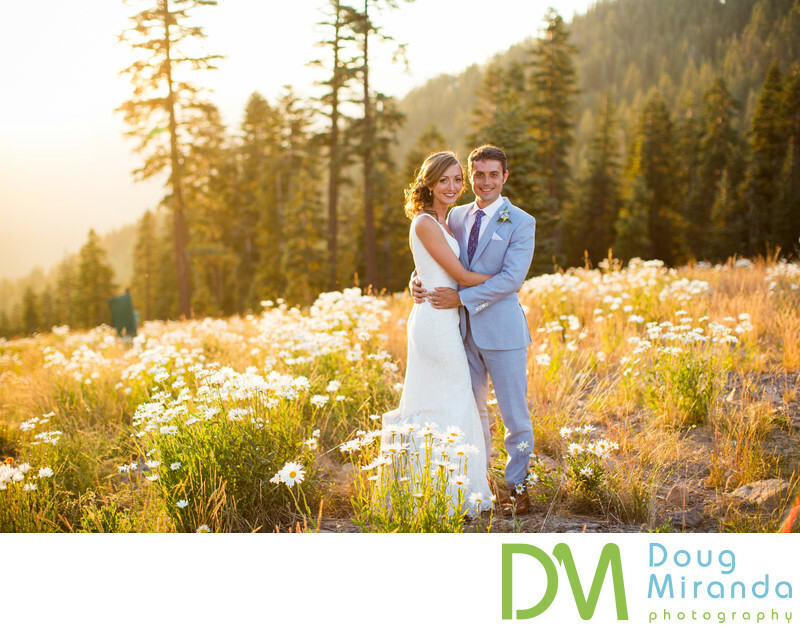 I placed them right in front of this stand of trees so that it made them stand out from the setting sun. This was the last light of the day as the sun had almost completely dipped behind the mountains for the day.